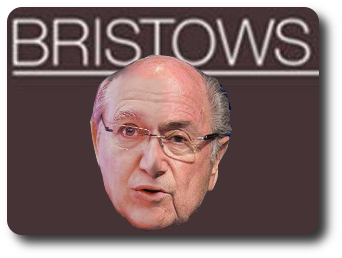 Right now, with UPC lobbying in full force (just three days left before Article 50 invocation), some IP Kat circles like Bristows LLP/Bristows UPC (using the blog for lobbying) could probably use Battistelli’s EPO as an ally. Merpel never publicly acknowledged the EPO’s sanctions (blog banned), further actions, or hints thereof as playing a role in self-censorship about EPO scandals. Truth be told, it’s like an NDA scenario; I should know as the EPO tried to gag me about threats that it had sent me. It’s a classic modus operandi and SLAPP-happy lawyers use that sparingly. Shiva Ayyadurai and his lawyer (who attacks the media on behalf of Melania Trump) did this to me earlier this year. We are gratified for the time Merpel spent shedding light on the EPO. We use a lot of her revelations to this day. In fact, to date, some information that’s in the public domain is a Merpel “exclusive”. That information is still publicly accessible, so the EPO never successfully deleted history. It’s all documented online. It certainly feels like IP Kat actually did want to write about EPO scandals, but someone in the blog capitulated to the bullies. Techrights will carry on of course, and The Register too does a good job covering these scandals. This already tarnishes the image of EPO management and politicians cite these articles in support of their motions (recently in Dutch Parliament for instance). It seems like too few people are both capable (have the background knowledge) and willing to expose and tackle EPO abuses. We hope IP Kat will rethink its self-censorship on the matter, but we can’t be optimistic about it. We’ll just assume that no matter the persistence and persuasion from readers, Merpel has already made up her mind. She did not respond to any of the comments urging her to carry on. “Keep going,” one person wrote, “don’t stop! He will have his Waterloo soon…surely, please God!” (“From: a “customer” of the EPO, that like quality “products”…even if they to wait a little while to get them”). We EPO Examiners are not “solely looking at production figures in order to get more money” as you put it. We are doing our best to perform our job as it supposed to be done, in an increasingly hostile environment, whilst trying to keep our jobs; no more, no less. More money does not come into it, and never has. Merpel – many thanks for covering the EPO up to now. The information, insights and commentary that you have provided have been invaluable in shedding light on dubious (AC / EPO management) practices that are a serious threat to the reputation of all of us who work in the patent microcosm. “EPOmustGO,” said an anonymous comment. “Replacing the president won’t change anything in its democratic deficiency,” the person added. Actually, while the EPO was never a paradise, it wasn’t ever this horrific. Insiders say that even several years ago things were more or less acceptable. Your posts will be missed but hey that’s life.